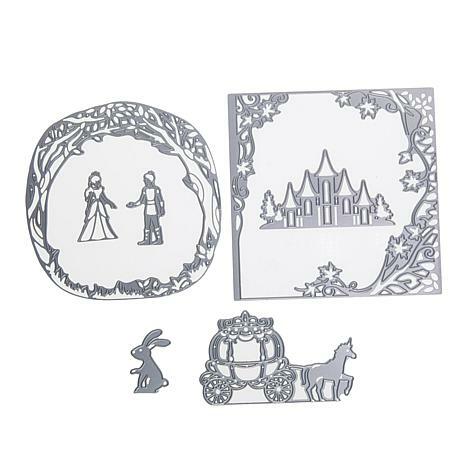 Create your own Cinderella story with these whimsical dies featuring a carriage and castle, plus frames and figures that exude romance and charm. 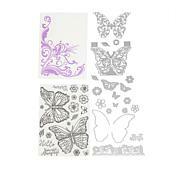 Use this set to get started on exquisite cut ins, layers, mats and embossed images for customizing your fairy tail crafting project. I've found all these sets to be wonderful. 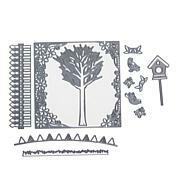 I've been able to swap my more ornate Castle Dies for the one offered here, while the Castle in THIS set is perfect for a fish tank card-the windows are large enough for a little fish to peek through! The Bunny is great for Spring cards. I've also been able to make different Forest Scenes with the background dies. Someone has given thought to these designs-I get a LOT of use out of ALL these sets! Really fun to use cuts beautifully. I like how many ways you can used the dies and scenes, there are so many. there are so many going through my mind. I haven't been actually able to use this set yet as I just rec'd it three days ago, but I did cut out one of the carriage/unicorn and it did cut out very easily. The set seems to be made well and it appears to have many possibilities. 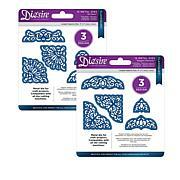 Dies are well made and easy to use. Instructions are included. I am a novice card maker with zero artistic ability. 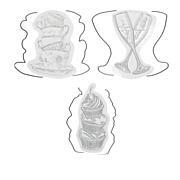 I have cut out several of each design. My only issue is I find it a little difficult to get all the pieces into scene where everything is visible. Still love it. Probably someone with more experience will have easier time getting everything placed. I'm determined to make an anniversary card for daughter and son-in-law.